Sony CX675 Review - Is It Worth The Money? Sony CX675 Review – Is It Worth The Money? When it comes to electronic devices, especially camcorders, Sony is an unquestionable brand. From quality to stylish looks, a Sony camcorder has it all. The Sony cx675 is one of the best camcorder made by Sony. There are tons of amazing functions that this camcorder can perform. From capturing high detailed videos to creating time lapses everything can be done by this amazing camcorder. But this camcorder is the best for performing two different types of zooming operations. Yes, you heard it right. Now, to know about more amazing features like this you should check out this Sony cx675 review. What Do We Like Most? There are more than one awesome features the Sony cx675 provides. So it is actually a little tough to know which feature to like the most. But still, we have done our research. And after all the research we can say, the thing that we like the most about this amazing camcorder is its ability to perform two types of zooming. There are several amazing features here but this is one of the most unique features a camcorder can offer. This type of feature is quite rare to find in a camcorder, even in this generation. So this the feature that we like most about the Sony cx675. Sony is keeping their heads up with the quality of their electronic devices. They have quite a reputation for being one of the top brands when it comes to a camcorder. The Sony cx675 camcorder is one of their best inventions. Get the best quality crystal clear images with a 30x optical zoom that this camcorder features. Along with that, you can take a wide angle capture to make your videos more attractive. Very few cameras will provide you digital clear image zoom along with an optical zoom. But the Sony cx675 provides you both. So get the best quality picture on your digital device with higher resolution by using this camcorder. While capturing moving objects don’t worry about the stabilization as an intelligent image stabilizer is here for you. With the Sony cx675, you can balance all the steady shots you take for the image stabilizer. 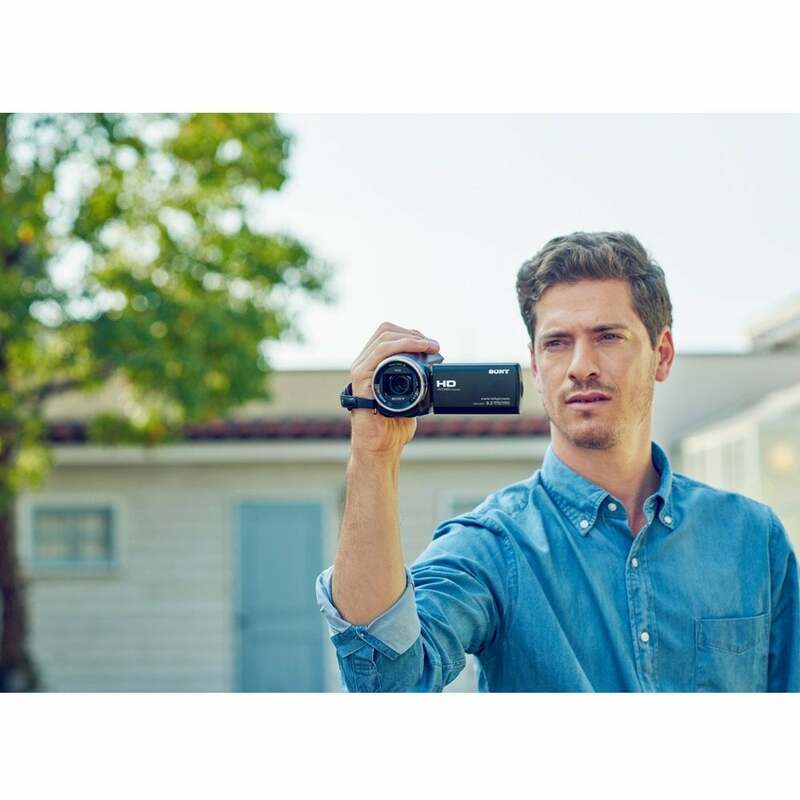 You can capture all the details of a particular scenario as the Sony cx675 captures 30p/60p of 1920×1080 resolution videos. So never miss a single detail by using the best Sony camcorder, Sony cx675. Contrast adjustments will never be a problem for you if you use this amazing camcorder. Heavy contrasts always ruin our videos, and you have surely faced this problem. But you don’t have to do that anymore as the Sony cx675 can automatically adjust the contrast with the Faster Intelligent AF Capture. Overall, the Sony cx675 is a camcorder capable of performing a lot of functions which other camcorders cannot. So you should choose this camcorder to make your videography experience much more special and awesome. 1. The battery lasts for a long time compared to other camcorders. 2. Small and light in weight for easier handling and maintenance. 3. The lens opens automatically to perform auto-focus. 4. Can perform automatically lighting in day and night. 5. Remotely operating features are available. 6. Captures the best quality sound from distance as well. 1. Transferring videos to other devices are tricky. 2. Charging takes a lot of time. Question:How the lens of this camera functions? Answer:The lens functions automatically to focus on the primary object of your capture. Question:Is there an option for mounting tripods? Answer:though there are mounts for tripods on the bottom of most of the camcorders, unfortunately, this one doesn’t allow a tripod. Question:Can I input a mic with this camera? Answer:As the sound quality is quite amazing there no need for an external mic. But still, if you want to, you can connect one. Question:Is there a feature of recording videos by keeping the screen closed. Answer:it is better to keep the screen open. But if you really have to, you can keep the screen closed. By now you have found out everything you needed to know that will make you love this camera. I know there are some minor flaws that you can find in this camcorder. But most importantly, the features that this camcorder offers are, without a doubt, quite amazing. In this Sony cx675 review I have given all the details you need to know about this device. Here you can see that the Sony cx675 performs some amazing functions, compared to any other ordinary cameras. So, I hope when you are about to get yourself a camcorder you will keep this amazing camcorder on your priority list.